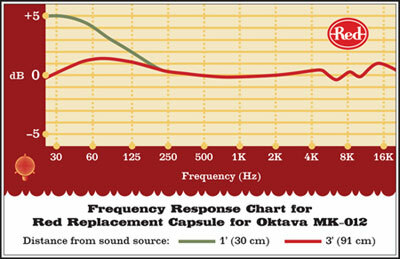 The Oktava MC012 is a transformerless FET condenser microphone. It was originally designed at the Russian Scientific Research Cinema & Photo Institute (aka NIKFI) in 1963. The mic’s original name, MK 012, was changed to MC 012 when exported to the West. 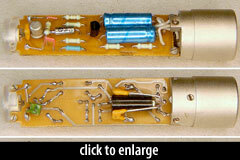 The mic consists of a head amplifier and a series of detachable capsules. Currently, a variety of compatible small-, medium-, and large-diaphragm capsules are available from Oktava and other manufacturers. What is the difference between the MC-012 and MK-012? In 2004, following the dissolution of the McKay brothers’ import agreement with Oktava, the manufacturer reverted the mic to its original name, MK-012. How has the MC-012/MK-012 circuitry changed? The original 1963 design was changed 1983 (more details are forthcoming), and again in 1992. 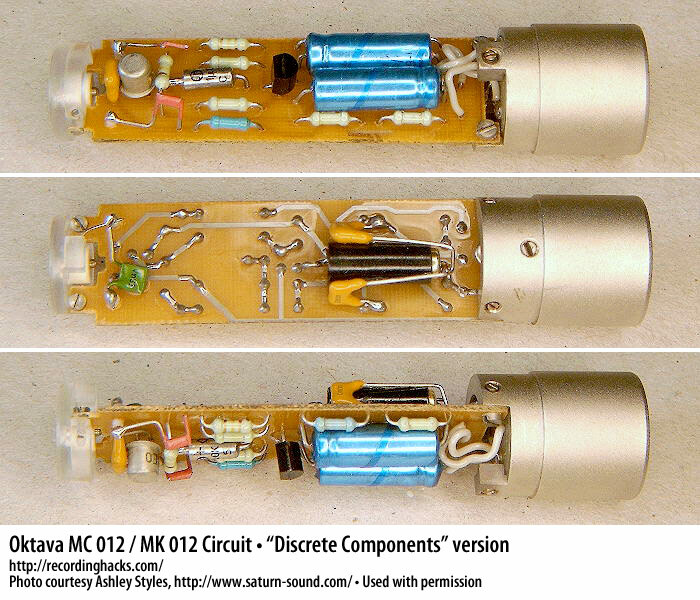 All mics labeled MC-012, and all the mics labeled MK-012 since 1992, use the same PCB and circuit design, pictured at right. 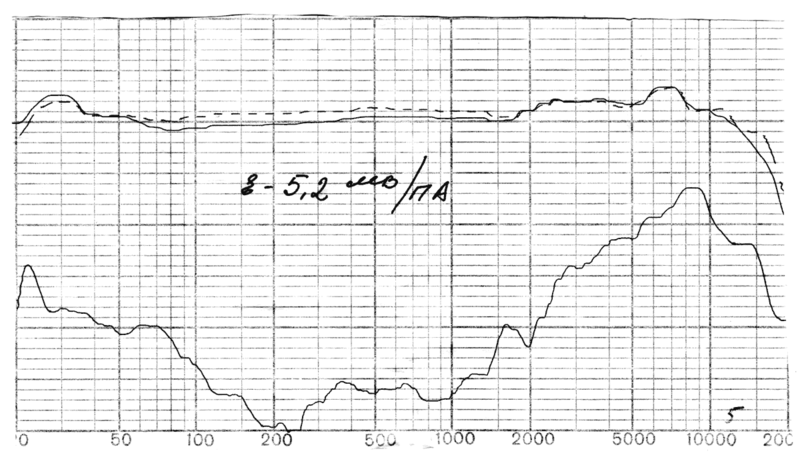 For additional MK-012 circuit history, see the MK-012 profile. Did all MC-012 microphones have serial numbers? Oktava began stamping serial numbers around the circumference of the XLR end of the microphone body in 2001. MC-012s manufactured between 1993 and 2001 had no serial numbers. MC-012s manufactured between 2001–2004 did have serial numbers. The MC-012 shipped in a variety of configurations, but the most common included a metal mic clip, a detachable -10dB pad, and a detachable small-diaphragm Cardioid capsule. Note that most, perhaps all MC-012 microphones showed the distributor’s “A.S.M.” logo below the factory logo on the microphone body. Find a schematic for the MC012 / MK012, with suggested upgrades, within the ZAPNSPARK folder of the Yahoo “Micbuilders” group file archive (here). The Oktava MC 012 is also known as: MC 012-01, MC-012. The mic was released in 1992.